Economic conditions have reduced the number of legitimate sales opportunities. Sales organizations need new tools to intelligently map products and services to the prospect's business challenges. 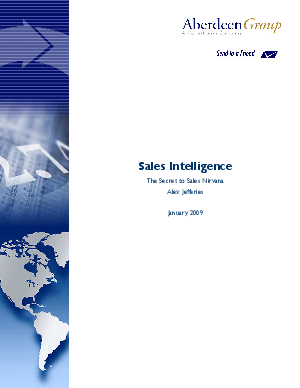 This report examines how top performing companies are implementing sales intelligence initiatives to increase pipeline quality and contextualize opportunities with relevant information.